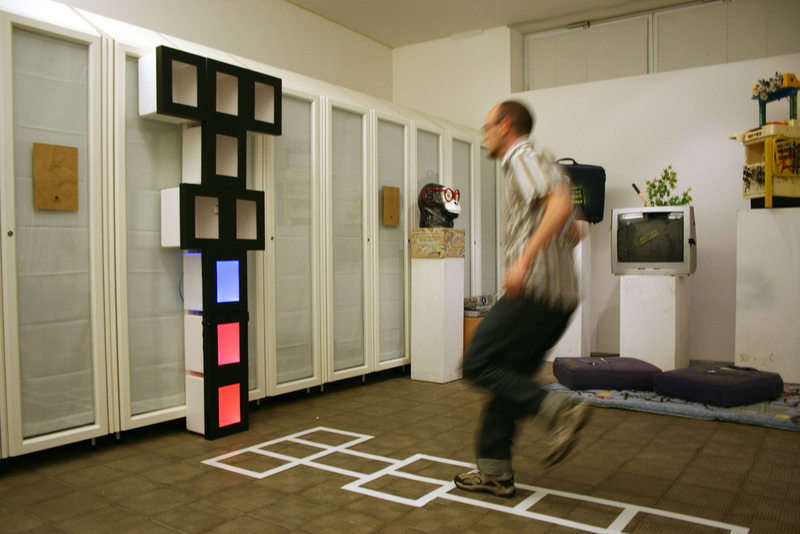 Part game, part performance, Hop is an augmented version of the traditional game of hopscotch. For centuries, the hopscotch board has invited children and passers-by of all ages to engage in a moment of physical play. When we were asked to develop an exhibit for the Kinetica Art Fair, we wanted to create something that would, rather than moving itself, invite the viewers to become kinetic objects. 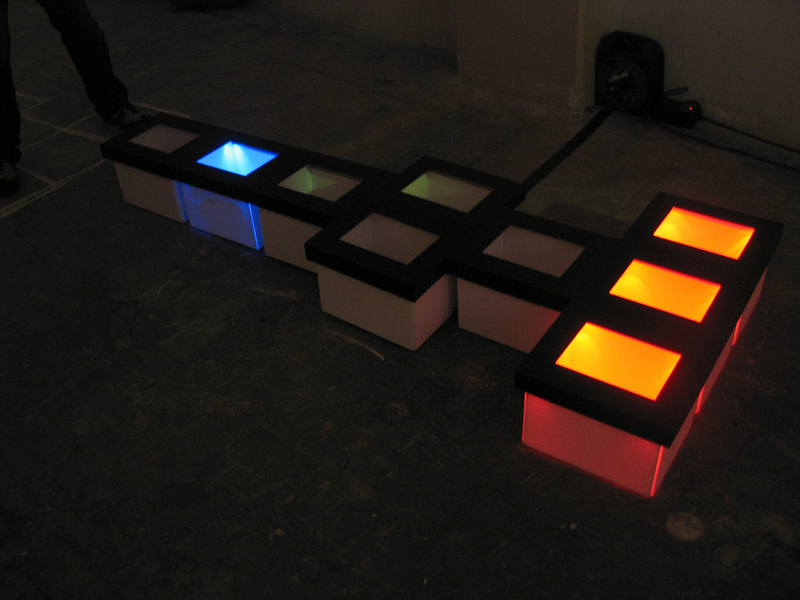 And so we built Hop—a light display that reflects and responds to moments of play happening on a chalked-out hopscotch board. 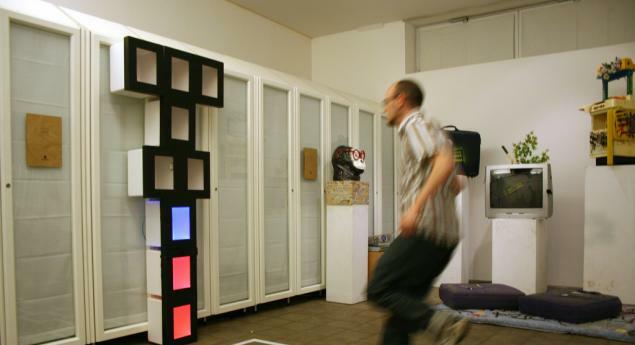 By mixing a traditional folk game with physical computing, Hop also highlights questions about the changing roles of technology in games and play. 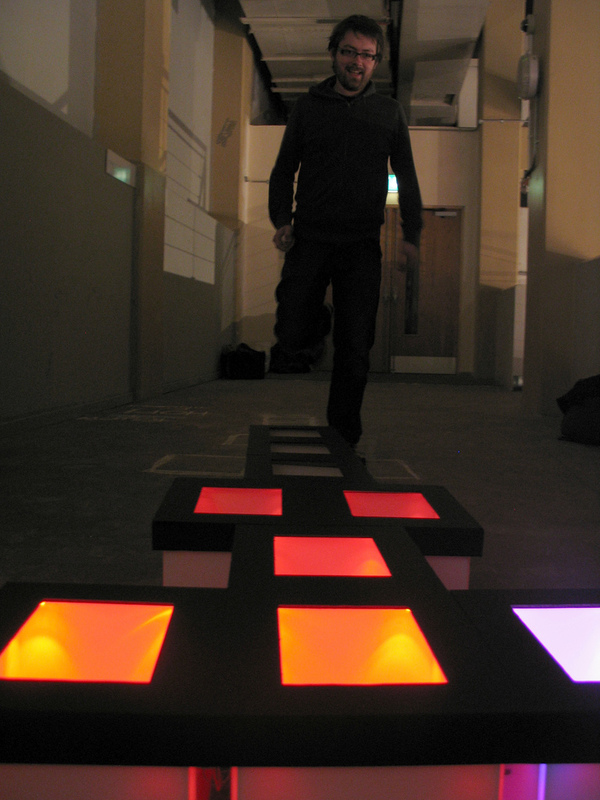 Hop consists of two hopscotch boards: a traditional board chalked out on the floor, and an identically shaped light display. 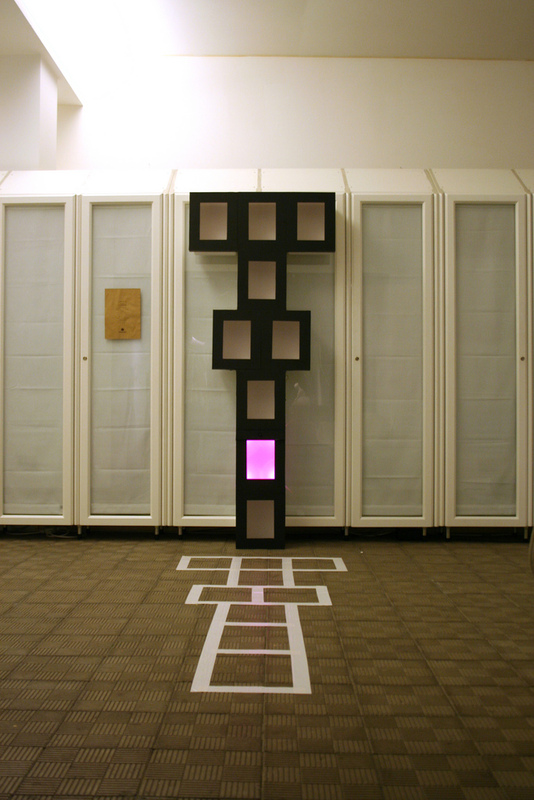 As a visitor plays this childhood game on the low-tech board, a red light displays the player's position on the light display. An additional blue light moves through the display, suggesting an unseen second player. The result is part game, part performance. Hop was exhibited at Kinetica Art Fair in February 2009 and at the Milano Green Art Festival, as part of Salone de Mobile, in April 2009.